"Oh, Dakuwaqa!" 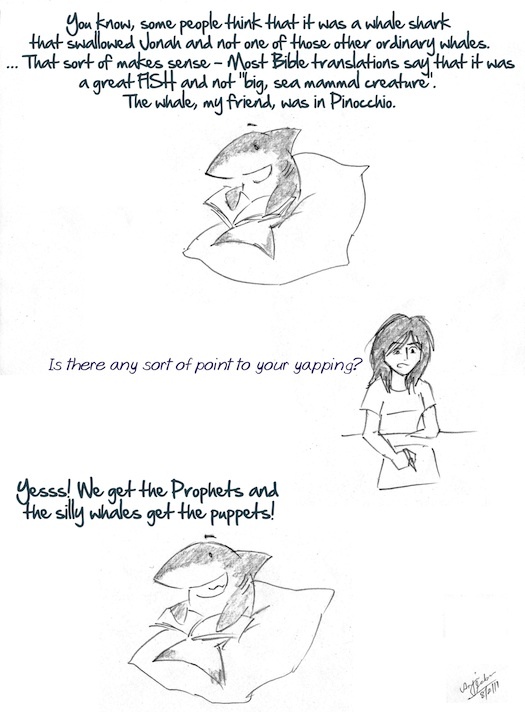 - The Shark comics and cartoons: Sharks - we transport prophets better! Sharks - we transport prophets better! My old Reader's Digest book on Sharks had this bit under chapters on history/myth and I remembered it all of a sudden. I have nothing against whales - they're quite nice, especially orcas. 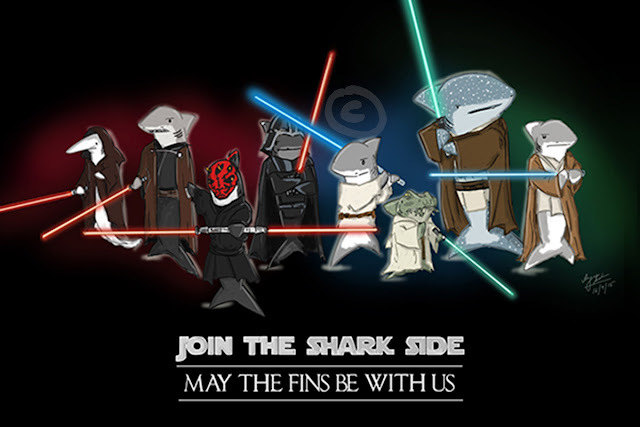 But they're not sharks ;) (And not just in the animal classification way).